From its inception in 1976, L’Occitane has been a firm believer in essential oils (it started with rosemary essential oil at a market in Provence! ), whereas I’ve only made it a mainstay in my skincare regimen for a year or two… clearly I have a thing or two to learn from them! Today I’m sharing my experience with The Divine Collection, which uses the organic Immortelle essential oil. This essential oil helps fight visible signs of aging with a complex of plant derived ingredients. 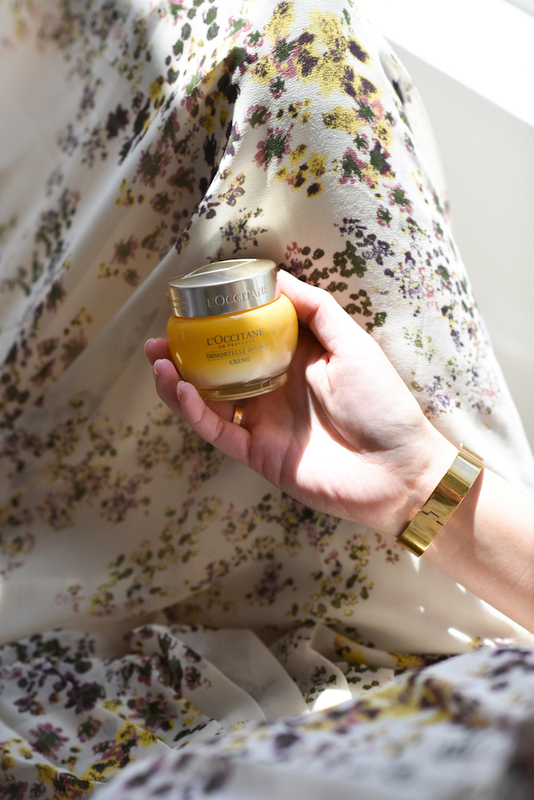 The Immortelle Divine Cream (one of their best sellers, and now in an updated formulation) is a lightweight cream that feels wonderful on, and instantly melts into my skin. 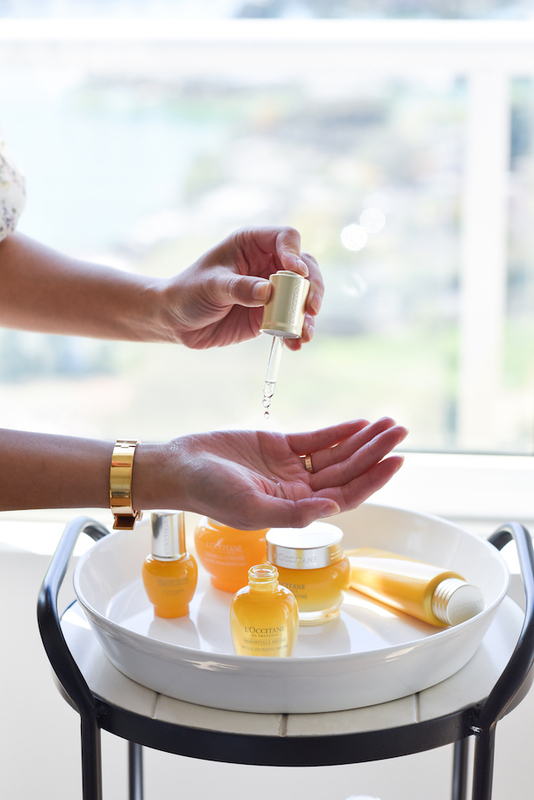 The Immortelle Divine Youth Oil is silky smooth. I love the texture and glow of my skin in the morning after using these together the night before. I’ve been a devoted fan of their Almond Shower Oil and Shea Butter Hand Cream for years – can’t get enough. So excited to be using The Divine Collection now and adding it to that list. Thanks for stopping by and hope you’re having a lovely week! 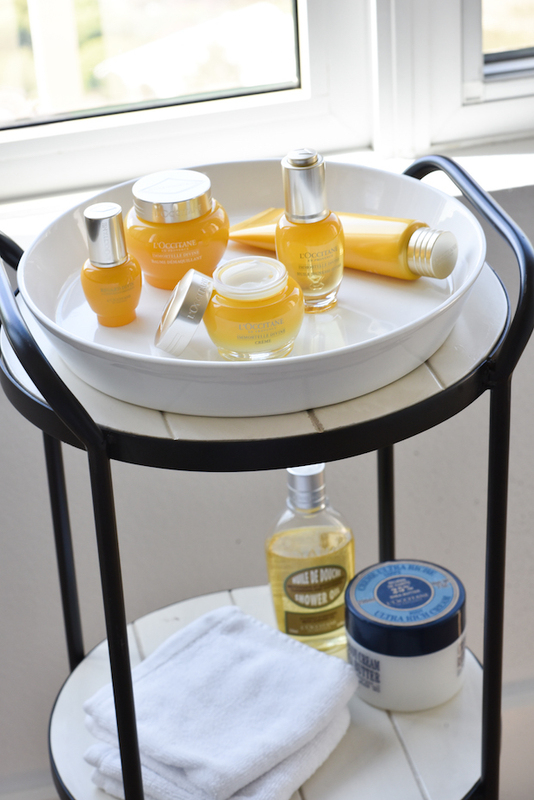 Thank you L’Occitane for partnering with me on this post! http://trendkeeper.me .. How to buy denim! I love their shower almond oil too. I love your dress. Very feminine. Where it’s from? I love their products and this sounds fabulous! You’re looking so beautiful and ethereal on these photos! Wonderful lady and such a great product placement. One of my favorite brands! <3 🙂 L'Occitane makes such great products!